Any reason why there are more red bodied than black? Well, they made more reds... But really, reds seem to dominate. Even the pictures on the Cox Engines site show more reds as does a google search. I have never seen a black Medallion I guess they all have red carb body. Conversely, there are black and red TD-s: the black TD is 049 and the red is 051 or 050. I hope I have not misunderstood your question. Bob, I purchased a TD .049 from Tower Hobbies in the late 80's and it came with a red carb body. Typically the .049 came with black and the .051 with red. I have a letter from Cox in regards to carb bodies I purchased in the early 90's which said they were completely liquidated of the black carb bodies and that they only had red ones from the .051. I would assume that at this point that all of the TD's were being assembled with what they had. I have broken so many of them I lost count. I used to just throw them out by the dozens. One hit to the ground with a old one and it shatters the metal venturi out of the side of it. I have since stopped throwing them away and I sleeve the outside with a piece of brass tubing which fits very tightly. I clean the threads and fill the cracks with epoxy. Once dried I chase the threads with a 1/4-32 tap and it's better than new. I ask because of that little jewel lurking at the bottom of the first picture. Some other stuff in there too. Well, both the Tee Dee .010 and .020 did come in both red and black. Red ones had gold anodized crankcases, while the black ones had aluminum color. Not sure when that changed, but they were red/gold first. Ken, that is interesting about the "red" .049s. 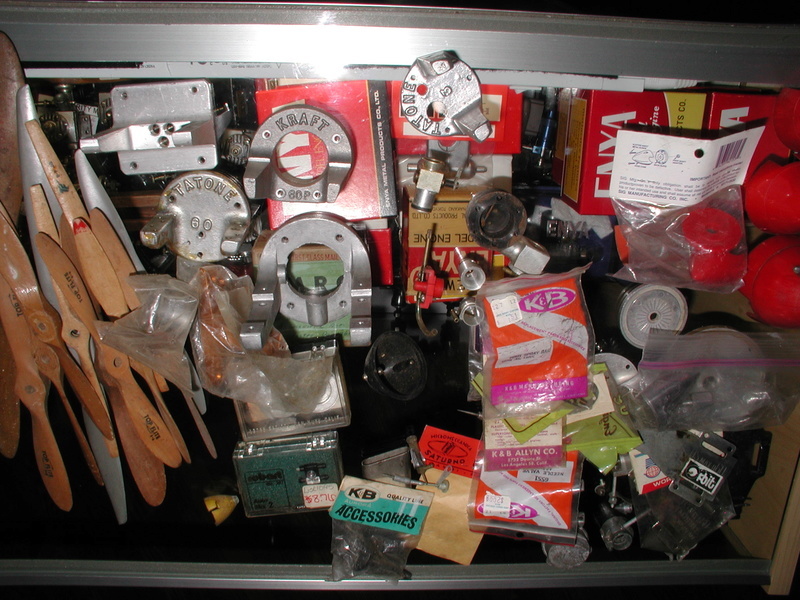 I have a never-run late model .049, no box or other history, it has black carb body BUT both the drive plate and needle valve body are aluminum color instead of gold. Do you remember if the color of those parts changed at some point? Of course it could be that my engine is just a victim of some production hiccup like the occasional Black Widows (and others) with silver tanks. It wasn't that Cox decided to change color, it was due to the fact that they were out of the black bodies. The letter just stated that they didn't know when they would be back in stock. Thanks Ken ,I guess the medallion carb. bodies dont break or are not used as much because they are not around ? getback wrote: Thanks Ken ,I guess the medallion carb. bodies dont break or are not used as much because they are not around ? And maybe Medallions were flown less aggressively, generally speaking. Thanks guys. I know it's a poor picture but is that a Tee Dee or Medallion? Looks black with a gold drive washer. .049 or .09? Looks more .049ish when compared with the propellers. Maybe a .09? It shipped yesterday, should have it next week. Bob, that's a Tee Dee. 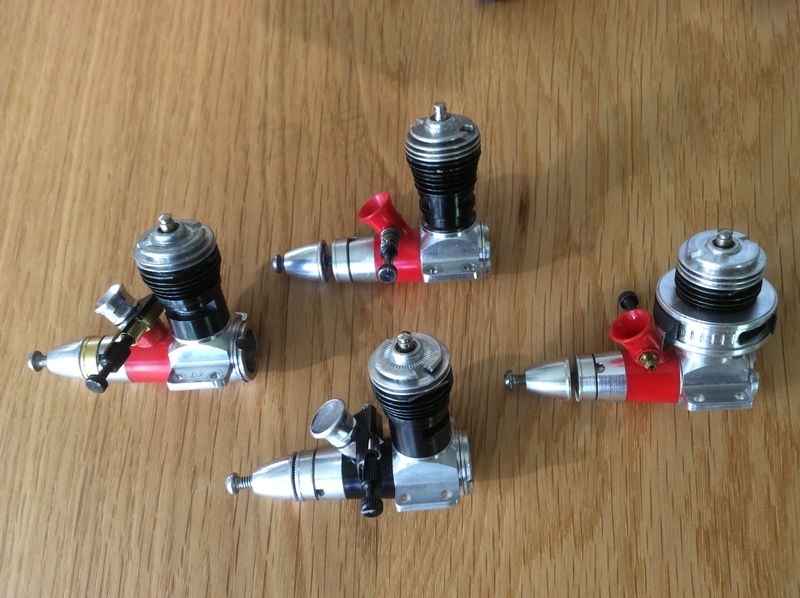 Medallions have all-plastic carb body on all sizes, and all the Tee Dees have the separate aluminium needle valve body and venturi. It is hard to tell which Tee Dee it is without a reference "something" next to it in the picture. The needle valve does not look like the ones on .049/.051 engines, so my guess is .09 because the .15 Tee Dees came with a thin wall cylinder. 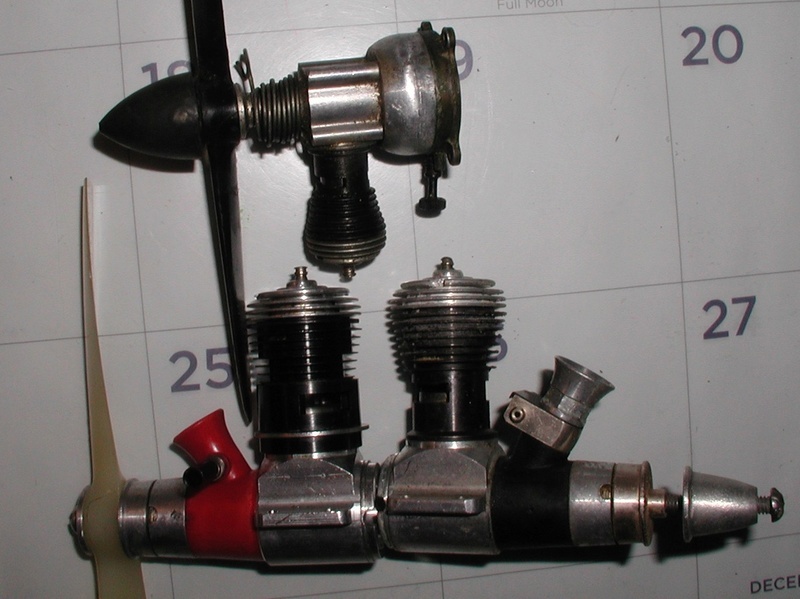 Edit: Here's a pic of a couple of my Tee Dees and Medallions just to show the differences in the carb bodies. 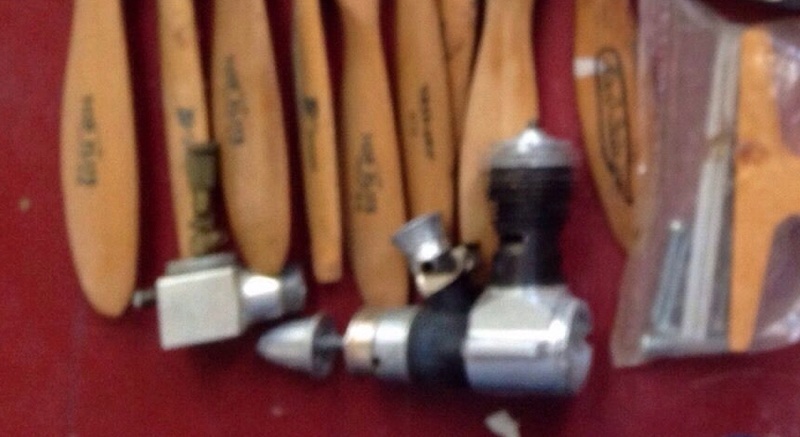 From left: Tee Dee .051, Tee Dee .049, Medallion .049 and a Medallion R/C .049. Thanks Kari, Got it. The Medallions evidently were less expensive to manufacture with only a small drop-off in performance. I appreciate the help and the picture. The Medallions had a significant decrease in performance. The cylinders typically were single bypass although some came with dual due to muffler useage, The crank timing was less aggressive not to mention the cut on the crank was smaller. Choke area on a Medallion is smaller than that of a TD therefore you have increased fuel draw, better economy, less power. However, the Medallion did better with 6" props vs the TD. The Medallion also had a standard glow plug vs the TD with the trumpet high comp head. Thanks Ken, I should have placed a question mark behind that "small drop-off" in performance as I have no experience with these at all. Hard to tell from the picture but it looks like a TD .15 if the needle valve is hollow. Can't really add much to what Ken said, never seen a black Medallion. The Medallion was created for a different market, mostly 1/2a R/C and stunt, more power than a reedie and no reed to deal with. While the Tee Dee was all out performance for a 1/2a engine. I seen that listing on the BAy, is a bad pic. but best can tell a TD15 and a rc carb. next to it there , never seen a carb. RC style for a TD15 But just recently seen a .09 with one so you never NO . Bob you need run that puppy ! Did you bid and win? It all looked pretty interesting! I would bet the engine and carb in question are a tee dee .09 and as tarno carb. I think there was a tarno carb for the .09. I know there have been adapters to mount the .049 carb to the .09. If you bid I hope you got it. fit90 wrote: Did you bid and win? It all looked pretty interesting! I would bet the engine and carb in question are a tee dee .09 and as tarno carb. I think there was a tarno carb for the .09. I know there have been adapters to mount the .049 carb to the .09. If you bid I hope you got it. Yes, I made an offer, only a couple of bucks or so off and they accepted it. 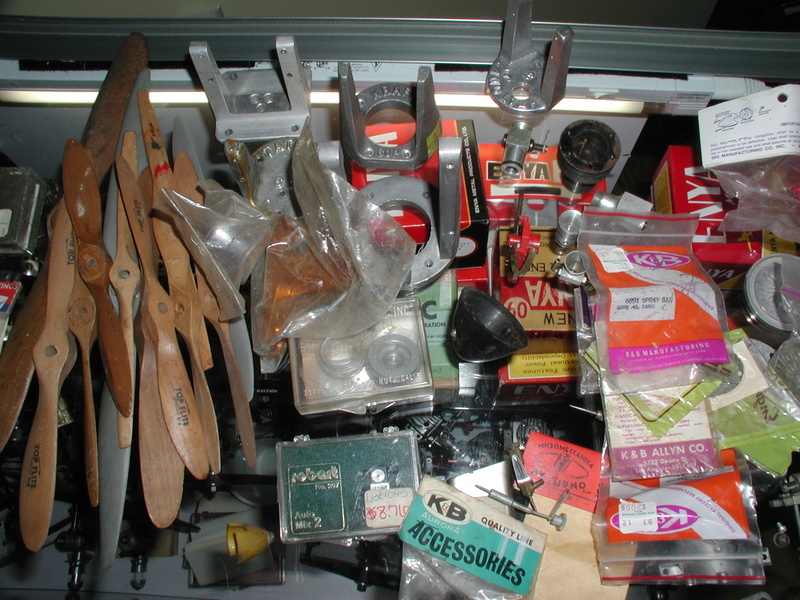 I can always use the props, and there is an Enya muffler included plus some other things that may be useful. The Cox goes for around what I paid, the rest is just icing. This "grab bag" finally arrived, by pony express I think judging the time it took to get here. Fun to unpack, but not much joy there other than the Cox TD which turned out to be a .15 (I think). I can always use the spinners and the props, and some much needed OS Max parts, but the rest not so much. I will sort it all out and offer the excess here gratis. If you see something in this mess that you just have to have PM me. I have no use for the K&B stuff or the metal motor mounts.